09 January 2019 - NEINVER, the leading outlet operator in Poland and Spain and a market leader in Europe, announced it has taken over the management of Silesia Outlet located in Silesia, Poland. The outlet centre currently being developed is scheduled to open this spring in the city of Gliwice. The investor of the facility is 6B47, one of the leading developers in the German speaking countries. NEINVER will be responsible for management, marketing and leasing. Silesia Outlet is to be the largest outlet centre in Silesia. Ultimately, it will occupy 20,000 m² of retail space, with 120 shops representing domestic and international brands. The first phase of the project, to open in spring of this year, will house 70 stores across 12,000 m² of retail space. The centre will have 830 parking spaces. “We are excited to get on board of this promising project. NEINVER has been operating in Poland for 16 years. It is a strategic market for us where we operate 4 outlet centres under the Factory brand. We are confident that Silesia Outlet will become a popular shopping destination in the region and a very successful asset in our portfolio” said Carlos González, managing director NEINVER. “It makes us very proud that 6B47 has trusted our specialized management expertise and our knowledge in the Polish market. This long-term agreement reinforces NEINVER as a key partner in the outlet sector, helping us to strengthen our presence in Poland and continuous growth in the European market”, he added. The scheme will enjoy an excellent location in the immediate vicinity of the A4 motorway, which connects Cracow, the Silesian Agglomeration and Wroclaw - the largest economic centres of southern Poland. It is only about 15 minutes’ drive from the junction with the A1 motorway, which will soon connect the north and south of Poland stretching right to the Czech border. National road No. 78 towards Rybnik also runs past the facility. It is one of the most important and most visited transport hubs in Poland, where the main trans-European transport routes cross. Silesia Outlet is being built in a well-known shopping destination for the inhabitants of the region. It will benefit a strong catchment area of 6.5 million customers. In addition, it includes Auchan Gliwice Shopping Centre and Leroy Merlin. “By engaging NEINVER as the operator of Silesia Outlet we continue cooperation with the best specialists in the outlet center industry in Poland and Europe. We want Silesia Outlet to build its strong position on the Polish market from the first days of operation. I believe that NEINVER will provide our center with stable and consistent development in all areas of management. We are convinced that also because of this fact Silesia Outlet will be an attractive destination for our tenants and clients”, emphasizes Mirosław Januszko, managing director of 6B47 Poland. More than 70% of the centre has already been leased. The new outlet centre’s brand mix will include mid-mass market to premium brands, from fashion and footwear to sports and accessories for women, men and children. Beyond the commercial mix, the centre will offer a range of food and beverage options. Silesia Outlet's offer will include brands like Vistula and Wólczanka, Pierre Cardin with the offer of Bugatti and Milestone, Guess, Diverse, Lavard, Lancerto, Brand Collection, Kubenz, Bruno Zinger, Vestus, Volcano, Molton, Unisono, Gatta, and Bagatelle. There will be a broad offer of brands with denim: Lee Cooper, Wrangler, Cross Jeans and Pepe Jeans, as well as footwear: Kazar, Venezia, Symbiosis, and Umbro. 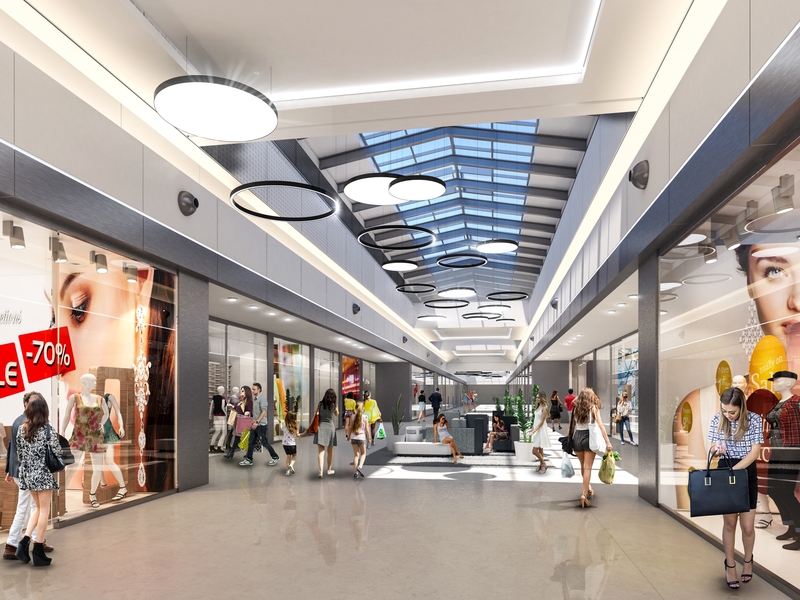 An important part of the Silesia Outlet shopping arcades will be taken up by sports brands: 4F, Martes Sport, Puma, Reebok, Adidas, New Balance, and Trespass. Apart jewelry store and Wittchen with leather goods will also open. BOIG The Blue Ocean Investment Group, construction manager of Silesia Outlet, will be leasing the scheme until its opening.